Looking to Grow Your LA Business Online? Schedule Your Free 20 Minute Consultation Today! I provide the following digital marketing services to Los Angeles startups, local businesses and corporations to drive revenues. SEO (Search engine optimization) refers to the volume of non-paid search engine results per webpage. It also denotes the process of improving traffic to a website. Social media sites like Facebook, Twitter and YouTube, can be used to market one’s products or services. Social media marketing involves advertising through these avenues to boost traffic and rankings of one’s website. PPC stands for pay per click, where advertisers pay for online views to their products and services. PPC management is the art of overseeing the benefits and drawbacks of a company’s PPC campaigns, and improving them where necessary. When one has a product for sale online, content writing marketing is one technique to frames its benefits and attractiveness to the general public. This is done through writing attractive descriptions on the product, to attract potential consumers. Web design is the art of constructing a website in programming languages like Java. Web development is the long-term process involved in making continual improvements in its layout and content, to suit its target audience online. Conversion optimization takes into account the visitors to a webpage, and systematically programs them to take a specific action, e.g. purchase a product. This involves a step by step process to convert the visitor into a consumer, hence the term. Digital strategy refers to how a business meets challenges in the digital sector. It defines the typical operations strategy of how a business responds to such issues. The more a webpage shows up in search engines the better its reputation. Reputation management is about developing this reputation through marketing. Email marketing refers to marketing campaigns carried out via bulk email to several potential consumers. Each one carries a description of a product or service, with a call to action to purchase. The overall goal of a digital strategy is to expand on technology and telecommunications. There are many ways to implement a digital strategy. The key factors taken in are the vision and mission and goals of a business. The goals can range from marketing, ecommerce, innovation, sales, etc. Identify the goals, drawbacks and weaknesses of the preexisting situation and how digital assets can solve them. Identify unmet customer needs that run parallel with the business goals in question. Identify the best digital strategy to encompass both the above under one solution. Decide on ways and means this solution can be implemented online via digital assets. SEO refers to how many unpaid views have been garnered by a website link. SEO marketing seeks to grow this number of views. It involves many technical and creative means to increase this ranking. SEO marketing revolves around the key phrases and keywords used to generate traffic, the layout of the website and how customer friendly it is. Most web traffic is directed through search engines. Search engines focus on keywords. Certain keywords drive more traffic to a website than others. Therefore employing the correct keywords in web content this is important to ensure better traffic to your website. A customer friendly webpage is the second factor. When people feel attracted to a website they are more likely to share it on social media sites, which increases the volume of third party visits to a website, through word of mouth. Social media marketing is a great way to increase business reach across the internet. It is done by creating engaging content for your brand, and positing these on platforms like twitter and Facebook. To start with, one needs to answer what ones goals and target audience are. These two questions would drive ones social media marketing strategy. Secondly, one needs to identity the best platforms to market your brand. For example a travel website, being more visual, would find successful audiences on YouTube. For example, a banking website would find more views on twitter, as it is more word oriented. Engaging content, consistently produced and marketed to chosen targeted demographics will ensure a wider brand reach and positive brand image in the long term. Content writing for a product seeks to position positively the brand in a consumers mind. It seeks to educate the audience and enable them to see the benefits of your product or service as applied to their life. This is one way of urging them to purchase what you have to offer. Content writing can also influence other target groups of stakeholders like employees and investors. Content writing for success invokes original and inspiring information. It can take the form of blog posts, research studies, case studies tutorials and promotional offers. It also seeks to educate target groups on the brand’s unique stance on its products. Content writing for marketing, is a great way to build an argument in favor of taking specific action, e.g. purchasing a product, answering questions, and boosting brand image. PPC management is the science of managing the revenue growth and progress of a paid to click (PPC) campaign. This can be carried out by internal marketing teams or by outsourcing. This kind of analysis can reveal what to market more of, what to eliminate in campaigns, the best keywords to use, and where to best invest ones budget. Web design is the holistic art of producing the perfect layout and temperament to one’s website. This involves programming skills and the eye for detail. It seeks to showcase your brand in the best possible light. This means a more customer oriented interface, and easy access to information about product information and benefits. In return, a well-designed website can draw more traffic and brand loyalty. We design is best done by a team of competent programmers since it involves higher end programming languages like Java. It can also be done via predesigned templates. It is important to constantly adjust ones website to the growth and decline of various content. This means understanding what to focus on excessively and what to cull in content. This is the art of web development. It is the process of using market analysis to grow an inviting and compelling web side alongside the expansion of one’s brand. Email marketing is the art of sending bulk emails to a target audience. It is a cheap mode of marketing with unlimited reach. Also known as promotional email marketing, this technique seeks to build brand awareness and loyalty among existing consumers. It can be used to inform about updates or advances in existing brands or information about new products. Transactional email marketing is a different form of email marketing. It involves specific mails sent out regarding customer action on products. E.g. “you have subscribed to this software”. Email marketing is a great way to increase business avenues across the internet. Conversion optimization is s skill that incorporates the conversion’ of visitors to a webpage, to take a specific action. E.g., one goal might be to urge people to purchase a product. There are many techniques to achieve this, step by step. Creating engaging content is a great way of sparking interest and invoking the desire to purchase. Using visuals and power words like Do it now or Buy today are powerful calls to action. Performing regular analysis on progress can ensure you incorporate more of what works for visitors and less of the non-essentials. It ensures your content is fresh and up to date and positioned for brand growth. Search engine optimization is a great way to polish up the external influence of a brand. This can include key techniques like using good keywords and content to broadcast wider results in search engines. Negative search queries about a product can lead to loss of views and credibility. To overcome this issue, one creates more positive content than the negatives, to bury the negatives beneath the positives in search engine queries. Crowd funding is when large numbers of people are paid, or volunteer, to keep typing in the keywords associated with positive content, into the search engine. Over time, this leads to the positive keywords showing up more often than the negative ones, in the search engine toolbar. We work with you to understand the insights of your business and set the goals. Along with that, we develop a strategic online marketing plan to use it as a roadmap for business promotion. We always aim to make analytical and logical strategy decisions with the data we are armed with. We then craft a custom digital marketing strategy unique to your business and audience. Get the reports that matter and help you to take a proper business decision and monitor ROI. We remove the fluff and provide you with reports that let you know if you are meeting or exceeding your digital marketing KPI’s. These include Google Analytics, Search Console and other reporting tools we use. With proper and efficient work process we retain our old customers and always look forward to making new ones. We retain our customers by providing a quality service backed by professional support. 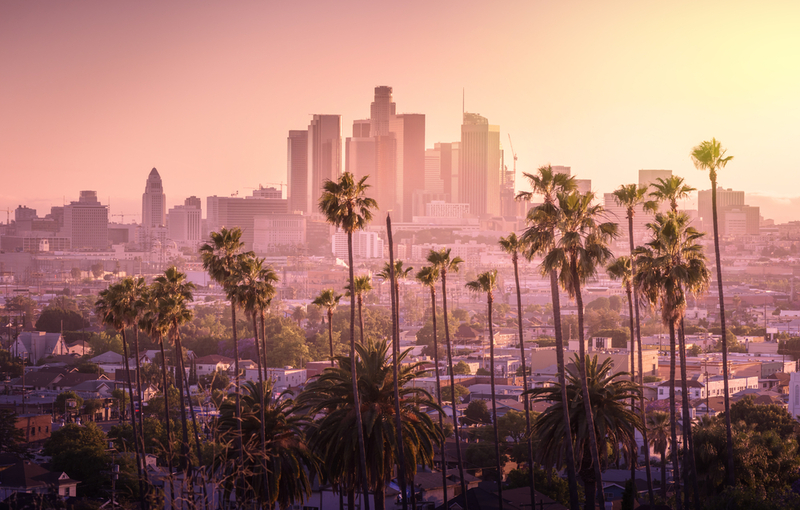 What Makes Our Los Angeles Digital Marketing Agency Different? This is what makes our dedicated team of Los Angeles digital marketing professionals different from the rest. 1. We give your business the branding and digital marketing it needs to compete online through ethical strategies and techniques following Google’s best practices. 2. We take a custom approach to our digital marketing. We don’t believe in a one size fits all in online marketing each client is different unique and has different challenges and goals. 3. Experience – We have over a decade of experience running digital marketing campaigns for local Los Angeles and corporate clients. 4. We take on each campaign as if it was our own. We know your marketing budget is important to your businesses bottom line. We don’t gamble and we use only proven strategies to get proven results. 5. Attention to detail. We take the time to find our what drives your business and then meticioulsly craft our content and ads around this. This is just one example of our attention to detail. How Can They Help Your Business. Marketing plays a major role in our economy and the products that are presented to us today. Marketing is especially important for new companies just starting out that are still trying to gain the public’s attention and get their base clientele. There are many different ways you can market, you can do it the old fashion way and stand outside with a sign and wave customers in, kind of like H&R block is still known to do, or you can do what most companies are doing now days and that is digital marketing. Digital marketing is a much more efficient and current way of gaining a client base since it is readily available and easy to get the public’s attention. So now that you know what digital marketing is, how exactly do you begin when utilizing a digital marketing campaign for your company? The best way to launch new business or scale an existing one is through digital marketing. You can try to do this on your own or you can hire a digital marketing agency. What does a digital marketing agency do you may ask, well pretty much exactly what you would think they do, handle your marketing needs digitally and universally. They will start by getting your business name out there on websites, online ad’s and social media. From there they will analyze data and figure out which digital platform is the most efficient and best way for your company to advertise. Sometimes they will begin in one direction and then find that your client base responds better to a different type of digital marketing and therefore they will switch focus to better accommodate your clientele. So if your a new company just starting out looking for a way to get the word out there to your customer’s, consider digital marketing as a way to reach that client base that you need. A digital marketing agency will be able to meet your every need as far as leading your digital marketing campaign and creating a brand image that will capture your audience. Not only will you have help to get your company’s brand name out there but you will also be able to finally have a digital footprint out there working for you and your marketing needs! I worked with Lorenzo for nearly a year. From the initial recruiting process, Lorenzo was an exceptional manager. His communication skills were unparalleled, and he always stood up for his employees. He coordinated several cross-functional teams to create the best marketing strategy possible, connecting people with technical knowledge and marketing skills to ensure nothing was lost in translation. 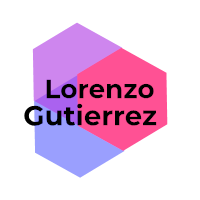 We worked in a complex biotechnology field, and Lorenzo’s digital marketing skills helped drive paid and organic reach to the website, blog, and events. Lorenzo was kind and considerate, particularly to a newcomer, and quick to deliver usable feedback respectfully. He helped improve the work of everyone around him. It would be my absolute pleasure to work with Lorenzo again. Putting together a website is a task, finding the right individual or company is even more complex. I did my search around looking for a company that has the ability to create, design and optimized my web site for our agency. We contacted Lorenzo and his team at Superior Force Marketing to update our website and increase our exposure. We are beyond pleased with dedicated and impeccable service. He was extremely helpful in guiding us through the whole process. He is very knowledgeable, paid close attention to detail and was very patient in training us on how to use the new administration system. Overall, we are very pleased with Lorenzo and his team and highly recommend him to everyone. We create brands that work. Start growing your brand with us today.